If confectionery is your thing or you have to knead dough every day, if you are in charge of a patisserie or you plan to open one, if you serve breakfast to a lot of customers or if pastry is your world... whatever your line, here at Sammic we have thought of you and want to help you to get on with your work. Sammic makes professional machines for bakeries and patisseries and among them you can find everything from industrial dough kneaders and beaters to specialized utensil washers with enough room for any tool or instrument you need to clean. Chocolate tarts, cheesecake, colored macaroni, your house cake, tea biscuits... hundreds of aromas and an arsenal of colors will invade your bakery. We have the machine for your every need. Let your imagination soar and we will help you to make your dreams come true. Surprise your customers! Every customer is a world and every one has their preference when it comes to bread: white, wholemeal, rye bread, oaten bread, without salt, cornbread, ciabatta, French bread, rustic loaf, baguettes, classical loaves... but you can meet all their needs and Sammic can make it easy for you. Discover our machines, they will amaze you. According to some estimates pizza is the world’s leading food, ahead of the hamburger. It has found a niche in every culinary culture and has its fans wherever you go. You can find thousands of types of pizza but the key to all of them is the same: the dough. Make your dough special and unique: you can do it with our machines. We control every step in the manufacture of our machines from design to marketing. We also employ a corporate chef: an expert cooking team collaborates with our product development teams to bring you practical, innovative units. This enables us to ensure that the solutions we propose meet the needs of the users for whom they are intended. A wide range of units suitable for the food preparation area is certified by NSF, your guarantee that the design complies with the strictest safety and hygiene standards. Specially designed for workshop, bakery, industrial pizza, etc. 10 l Planetary mixer BE-10 Table-top model with 10 lt./ qt. bowl. 20 l Planetary mixer BE-20 Floorstanding unit with 20 lt./ 20 qt. bowl. 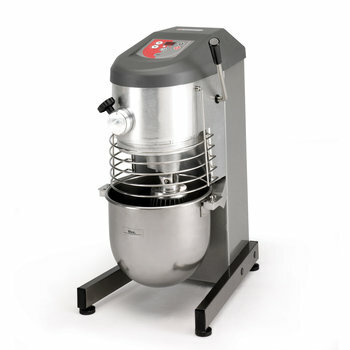 40 l Planetary mixer BE-40 Floorstanding unit with 40 lt./ qt. bowl. We offer customised solutions for our most demanding users in Catering and Hotel, Licensed Trade and Food Industries since 1961. We are a world leader manufacturer of Quality Ware Washing and Dynamic Food Preparation Equipment. 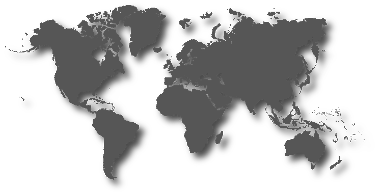 Our export network guarantees an active presence in over 100 countries of the five continents.